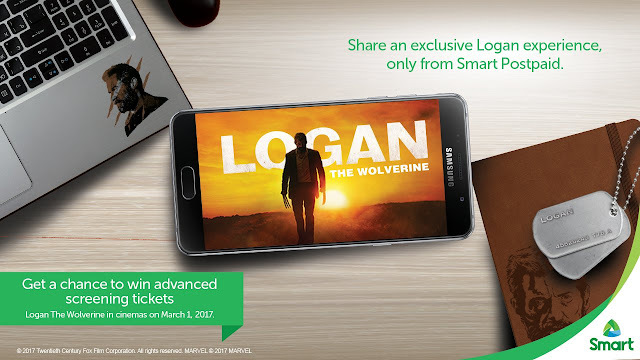 There is no better time to be a Smart Postpaid subscriber and an X-Men fan than this March when Smart gives away hundreds of movie tickets to an exclusive advance screening of the upcoming “Logan” movie, the next installment to the “X-Men” franchise centered on Wolverine. Smart subscribers will be among the first in the world to see “Logan” on February 28, ahead of its Philippine showing starting March 1 and ahead of its worldwide release on March 3. “This is just the first of a series of Smart Postpaid-sponsored blockbusters. We want to reward our subscribers with the most anticipated Hollywood experiences that they can share with their friends and family,” said Patrick Tang, Head of Smart Postpaid. “#SmartGigaMovies is just one of the many perks that Smart Postpaid will provide regularly for our subscribers this year and the years to come. We want to give back to our loyal postpaid users in with exclusive lifestyle experiences such as the #SmartGigaMovies lineup, instant perks and even bigger offers that Smart Postpaid will announce soon so please do follow Smart’s social media accounts and be updated via our website,” he added. 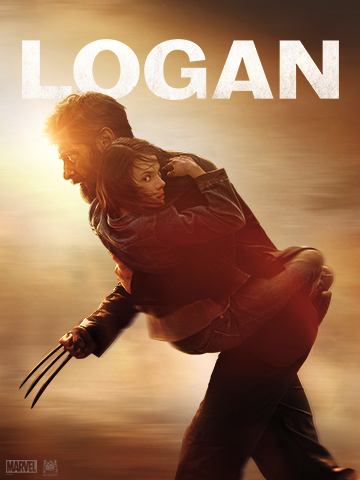 Said to be Hugh Jackman’s final portrayal of the iconic steely clawed mutant character, “Logan” brings viewers to the year 2029 when mutant population has significantly decreased and an aging Logan is now working as a chauffeur to get by while he’s caring for Professor X. Logan’s “retirement” is interrupted when he drives for a young mutant girl, young X-23, who mirrors his powers. All of a sudden, Logan is faced with a choice to utilize what remains of powers to protect the girl from dark forces. 20th Century Fox recently launched a “Logan” Super Bowl trailer featuring “Amazing Grace” as background to chunks of action and drama clips. Directed by James Mangold, “Logan” also stars Patrick Stewart reprising his role as Professor X alongside Richard E. Grant, Boyd Holbrook, Stephen Merchant, and Dafne Keen. Jackman, who first played Wolverine/Logan 18 years ago, has appeared in the X-Men series and stand-alone Wolverine films since 1999. If you’re a Smart postpaid subscriber, follow Smart’s official Facebook, Instagram and Twitter accounts for chances to win tickets to screenings at Power Plant Mall in Rockwell. On February 28, smart subscribers were among the first to watch “Logan” via Smart Giga Movies advance screening. Track #SmartGigaMovies for more details.